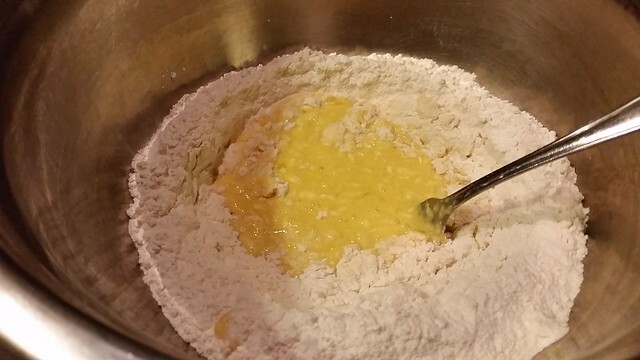 Learning how to make pasta by hand is one of the easiest skill-sets that you can add to your cooking knowledge-base. 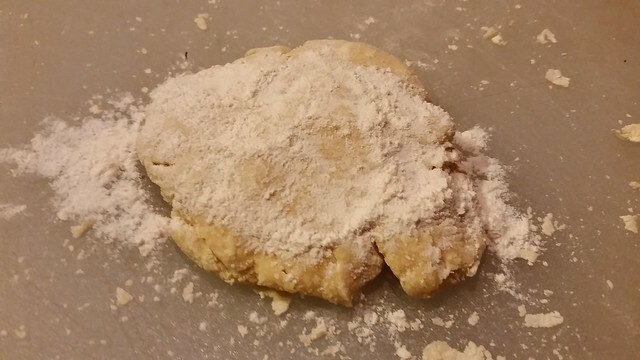 Since it uses only two ingredients; flour and eggs; it is next to impossible to make incorrectly. By following the simple directions below and with a little practice you will be able to whip up fresh homemade pasta in 20 minutes or less. The only difficult part is getting the correct ratio of eggs to cups of flour. 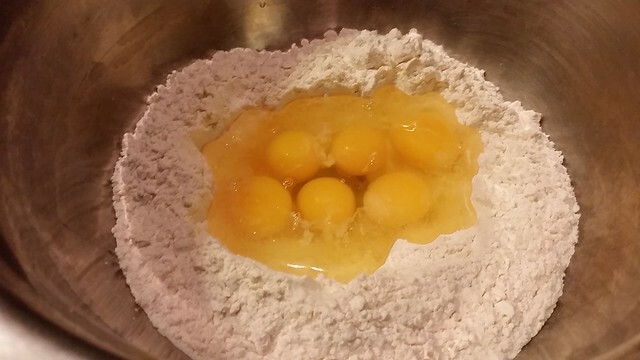 Varying sizes of eggs and the quality of them can greatly impact the resulting pasta dough. 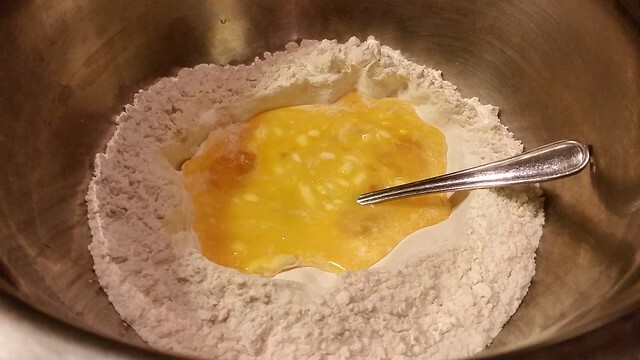 Start with a 1:1 mixture and add either more eggs or flour depending on the results. You want the dough to be slightly tacky but not overly sticky. If it is though, it’s no big deal; it’s only pasta. Just keeping dusting with flour and rolling it out. 2. 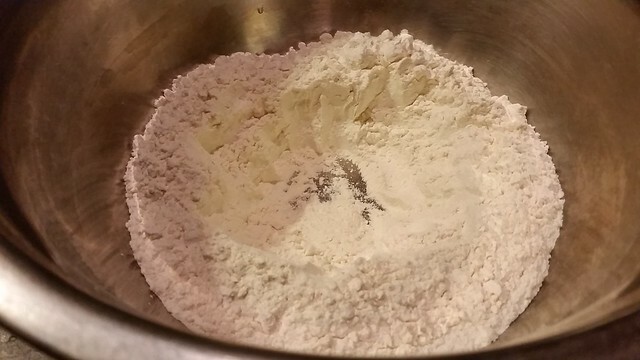 Measure out the flour. 3. 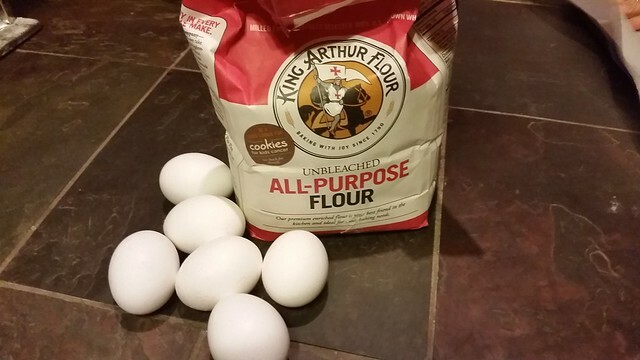 Make a divot and add 1 egg per cup of flour. 4. Start whisking like you are making scrambled eggs. 5. 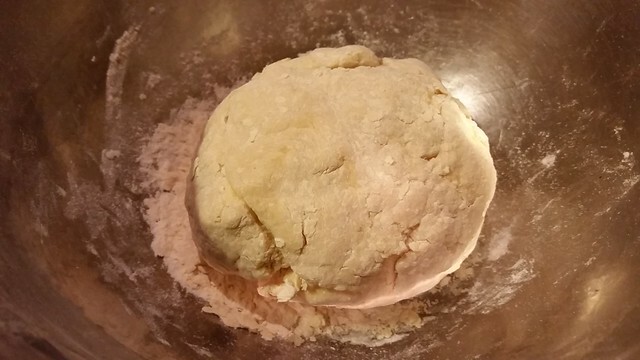 Slowly incorporate the flour. 6. Once it stiffens up start mixing by hand. 7. Place on a cutting board, cut into smaller pieces and let rest for 5 minutes. 8. 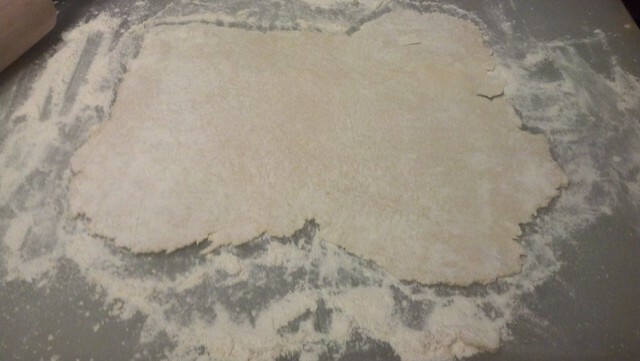 Flatten a section and liberally flour it. 9. Using a rolling pin start working the dough flatter while dusting with flour. 10. 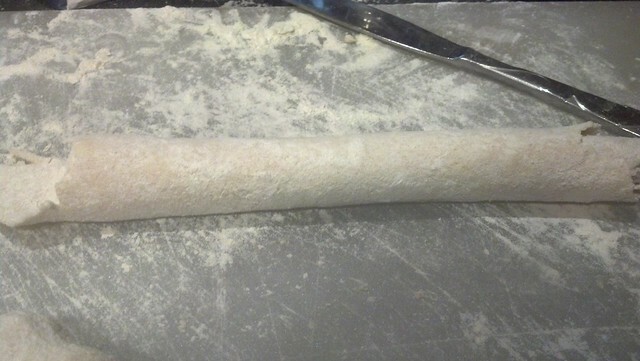 When you are happy with the thickness roll the dough up. 11. 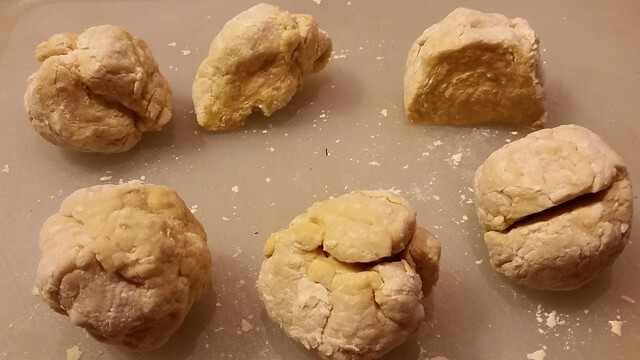 Repeat the process with the other smaller dough balls. 12. 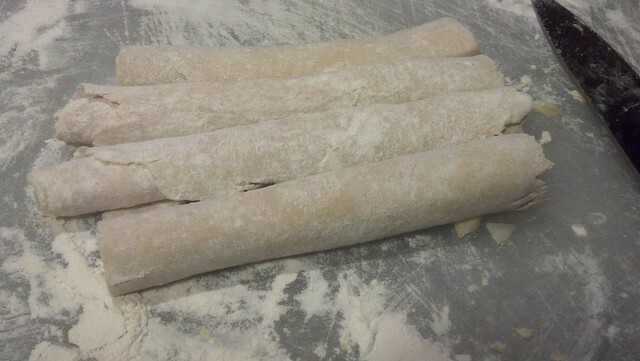 Use a knife and cut the rolls into 1/4 inch sections. 13. 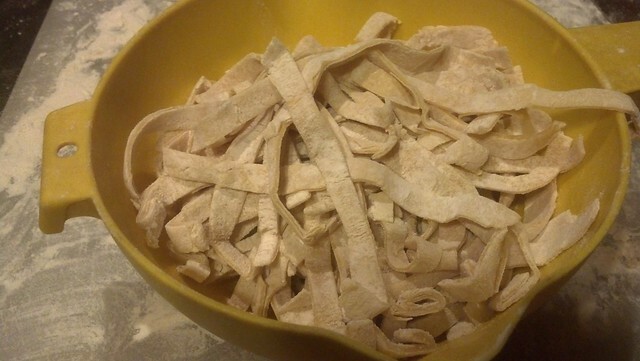 If you were dusting with enough flour, the noddles should easily separate. 14. 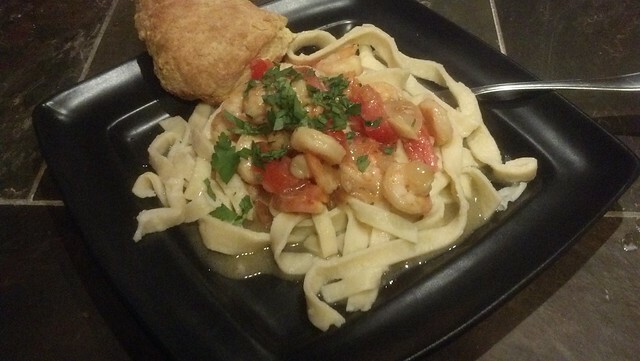 Boil the noodles and serve with your favorite recipe. That’s it! Now how simple was that? If you would like to see how to make it using a pasta maker you can see the slightly modified directions below. Have fun in the kitchen! When you mix up a big batch of pasta dough (up to 4 cups of flour), or roll out spaghetti that’s extra long (up to 32″), this is the drying rack you’ll want by your side. Sturdily built of solid wood, it’s just like the ones Italian cooks have depended on for countless generations. Why take up an entire counter drying your pasta flat, when you can save so much space by hanging it to dry vertically? 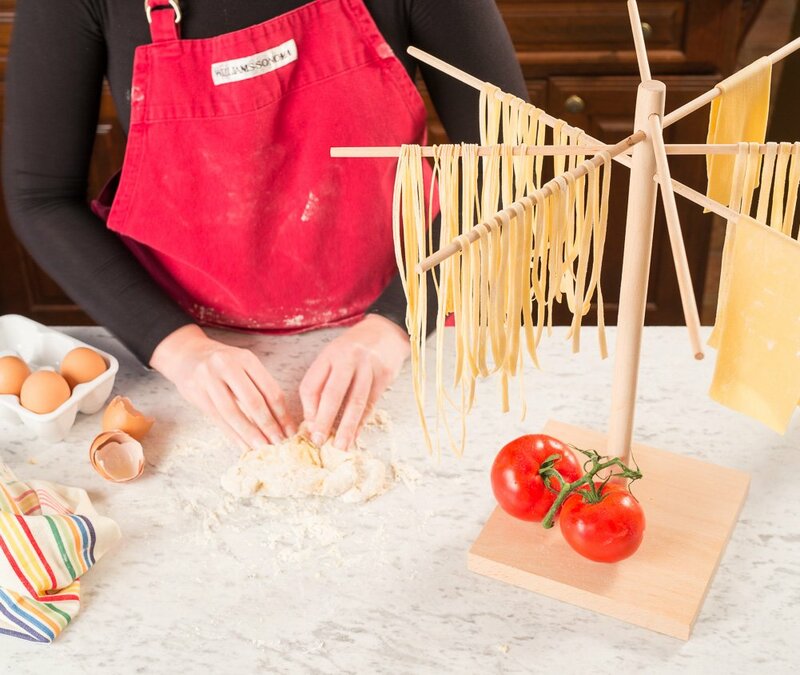 Even better, your pasta will dry faster and more evenly, because air can circulate around it on every side. 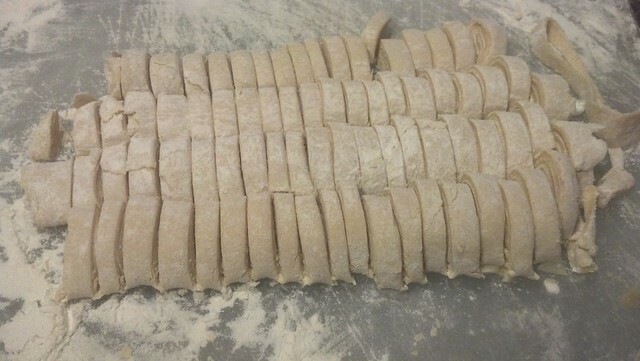 The four 18″ arms are angled so that each strand of pasta has its own air space, with no overlapping or sticking.